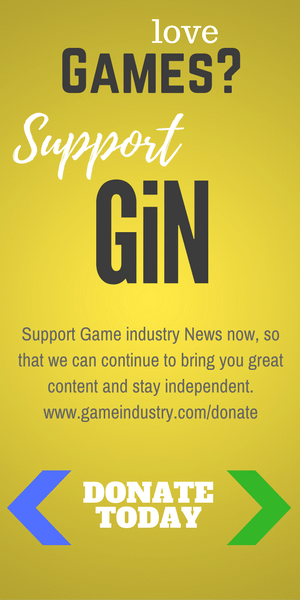 Game Industry News is running the best blog posts from people writing about the game industry. 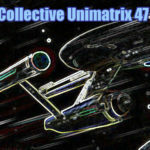 Articles here may originally appear on Marie's blog, Fan Collective Unimatrix 47. We begin with our intrepid Orville crew confined to the shuttle bay, confused as to why they’re still alive, and fortunately, we don’t wait too long to find out. The Kaylon want to use Mercer as a way to convince the Earth to lower its defenses to make annihilating the population easier, and Kaylon Prime is using the crew as leverage to convince Mercer to do just that. As expected, Mercer attempts to alert the first Union ship they encounter as to the Kaylon perfidy with what has to be the silliest code phrase ever used: “a 13-button salute.” However, the Kaylon, having access to all of the Union database, recognize his effort for what it is and not only destroy the ship but also force Mercer to watch as they space a red-shirted ensign (in good Star Trek form). 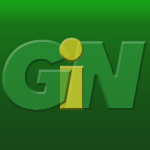 The crew is thus forced to come up with alternatives, and they opt for two. Plan A involves Yaphit and Ty getting a message to Earth while Plan B sends Grayson and Gordon in a shuttle to Krill space in the hopes that the Krill will see reason and provide aid in the Union’s darkest hour. 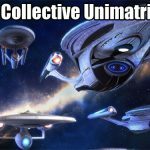 Surprisingly, both plans work, meaning that the Union has time to pull back part of the fleet, and when all seems darkest, the Krill swoop in with their strange looking ships to save the day. Isaac also has a change of heart, opting to rip Kaylon Prime’s head from its body rather than execute the young and adorable Ty. He then clears the bridge and engineers an EM pulse that will shut down every Kaylon on the ship, sacrificing himself to give his human family a fighting chance. As I have observed before, the Orville is not a subtle show, so while I wondered how Isaac would redeem himself, I was not terribly surprised to see that he did. The Orville positions itself as the spiritual successor to TNG, so the “Identity” two-parter does indeed seem to be the Orville’s crack at “Best of Both Worlds,” and while the character beats are really solid (Grayson and Gordon’s discussion about taking a shuttle out while the Quantum Drive is engaged, Yaphit’s startling willingness to be useful, Bortus’s confidence in his ability to take out both Kaylon guards, even Dr. Finn’s offer of future forgiveness to Isaac), the real set piece of the episode is the fantastic space battle that takes place with Earth hanging in the background. The CGI is nearly movie-quality, and the action and stakes certainly kept us on the edge of the couch. The brief exchange between Gordon and the Krill pilot is a great call back to so many great sci-fi shows while not detracting from the action sequence, which is a balance the Orville has not always been able to manage. I even liked the nod to Trek naming conventions with the Roosevelt and the Hawking. I am certainly intrigued to see how this tenuous peace with the Krill will go. I’d like to see Michaela McManus bring Teleya back as an ambassador, but the Krill’s steadfast belief that the Union member species are soulless and therefore non-people will be an even bigger hurdle than the Moclans’ problematic customs. Using the Krill to save the Union was a nice touch, and I do hope we’ll see more from that story-line. The other great moment in the episode for me is when Mercer pleads for Isaac’s reactivation. The practical, pragmatic thing to do would be disassemble him for information on his species, but Mercer recognizes that doing so would be the wrong moral move. Some of Star Trek’s most iconic moments occur when the show prioritizes the right action above the most practical. (Does anyone remember the discussion regarding Hugh?) After all, Star Trek fundamentally seeks to show us what we could be at our best, and the Orville desperately wants to follow in those warp trails. I will admit that despite how the episode telegraphed the end, there is something refreshing about a simpler story-line. There were good guys and bad guys, and despite the bad guys’ general evilness, the good guys still won. Were the Kaylon as terrifying as the Borg? No. Was I surprised at the ending? No. Was I absolutely along for the ride? Very much yes. Sometimes, all we really want is a solid adventure with a happy ending, and that’s exactly what MacFarlane gave us. Y’all. We FINALLY get to see Spock. I’m so glad that the seven episode-long wait has ended. I’m not sure what I think about Spock’s beard, but hey, at least we’re no longer looking for him. Again. Or for the first time, depending on your perspective. Backing up a bit: the episode opens in the space above Kaminar, and the episode gives us a Pike/Tyler B plot involving a temporal rift that opens up above the planet. They need more information about the mysterious rift because of course they do, and since their sensors can’t penetrate the rift (because of course they can’t), Pike nominates himself to pilot a shuttle over to deposit a probe in the rift. Probes, if you weren’t familiar with the Star Trek universe, are magically able to penetrate the impenetrable. Additionally, they almost never, ever work the way the crew intends them to function. That’s equally true in “Light and Shadows” because Something sends the probe back to Pike and Tyler with a few added features that appear to have been ripped from one of the Matrix films. The Discovery loses contact with the shuttle (because of course it does), and Saru gets to announce that they have to rescue the shuttle with great gusto. He directs Tilly to go get Stamets whose Tardigrade upgrade gives him a little bit of a leg-up on navigating temporal phenomena as we discovered in “Magic to Make the Sanest Man Go Mad.” Apparently tardigrade DNA makes him better at temporal math, so he figures out the coordinates and has Tilly beam him over. He successfully navigates the shuttle out of the rift, and everyone gets beamed off while the Probe continues scanning the Discovery’s computer system and theoretically uses three red dots to insert a virus into the criminally under-used Lt. Commander Airiam. When compared with “Magic to Make the Sanest Man Go Mad,” the B-plot is somewhat underwhelming, which is why I’m spending so little time on it. The A-plot, of course, represents the meat of the episode and involves Burnham flying to Vulcan where she persuades an incredibly angry Amanda Grayson, in full Mama Bear mode, to let her see Spock. Grayson stashed Spock in a Katric Ark, where Ethan Peck demonstrates his ability to mumble crazily while carving numbers into the walls, and Burnham immediately recognizes that Spock needs help. Grayson argues that she won’t release Spock and that she’d rather invoke diplomatic immunity rather than surrender him. Sarek appears and informs her that he won’t allow it, and Grayson proceeds to tear him a new one. It also turns out that Spock has a disorder the Vulcans term L’tak Terai, which is apparently a form of dyslexia, and part of what motivates Grayson here is her perceived failure at protecting her son from the cruelty of Vulcan culture. We saw a little of that same guilt in “A Point of Light,” but Grayson pulls out all of the stops here. Sarek’s attempt to assert some authority is pitiful in the face of her rage; she minces no words in accusing him of having failed her as a partner, of not having appreciated her sacrifice, and of not providing the right kind of support for Spock. However, she is not cruel, but Mia Kirshner’s delivery of “Do better, husband” is probably going to be one of the episode’s defining moments for me. James Frain does a creditable job of conveying how torn the situation makes Sarek, and importantly, he sticks up for Michael, possibly making up for his earlier failure to do so that we saw in “Lethe.” However, Kirshner’s Amanda commands that scene, regardless of the fact that Sarek wins. Burnham takes Spock to Section 31, where Captain Leland implies the scary looking device they want to put on Spock’s head will help cure his madness. It’s a Trek rule that one should never trust any device Section 31 places near a brain, so I wasn’t terribly shocked when erstwhile-Emperor Georgiou nabbed Michael and had her go rescue Spock. As an aside, the more we see Michelle Yeoh’s Mirror Georgiou, the more excited I become for the Section 31 spinoff, though I may be waiting for a while. What was a little surprising is that apparently, we’re heading to Talos IV, which you may remember is the location of the events from Star Trek’s original, unaired pilot. While I do worry that using Talos IV hearkens back to the problem I have with the inclusion of Spock, which is that we have the entirety of Alpha Quadrant from which to pull characters and planets. Why do we need these references? That said, I’m very excited to see an updated version of the Talosians. “Light and Shadows” borrows from other elements of Trek canon, too. Listening to Spock recite the First Rule of Logic reminded me strongly of Spock’s testing in Star Trek IV: the Voyage Home, though the First Premise never appears in the film. My husband called the use of the Katric Ark as he remembered it from Star Trek 2009. I also wonder whether the meeting between Spock and Sarek, such as it was, represents a slight wrinkle in canon as we know from “Journey to Babel” that Spock and Sarek had been estranged for 18 years, which would cover the events taking place on Star Trek: Discovery. I’m not entirely certain what to think about Spock’s alleged version of dyslexia, which is of course the conceit by which Burnham identifies where Spock wants to go, and since Spock knows about the Talosians, I presume the events from “The Cage” have already occurred, but it seems that the Federation has not yet declared it a capital offense to visit Talos IV. If the events of “If Memory Serves” result in that declaration, I think it would be a nice addition to canon. This episode also brings back Grayson’s use of Alice’s Adventures in Wonderland as a valuable tool for teaching her children that life will not always be logical. In “Lethe,” the focus was on how the book helped Burnham cope not only with the loss of her parents but also with adapting to life on Vulcan. “Light and Shadows” neatly flips it, showing us that Spock also needed a primer on how to live in a world in which up was frequently down. It’s a nice coda. I’m definitely excited to see this next episode. 1. The Pee Corner! I LOVED that someone finally addressed this issue. There are no toilet facilities in the shuttle bay (or the shuttles for that matter), so every time the crew was forced to take up residence in a bay, I always wondered about this. 2. Yaphit has almost redeemed himself. Almost. 3. Does anyone else wonder how the Issac/Finn relationship will go from here? Granted, I loved that Ty’s faith was so rewarded. 4. Discovery has a third season! Congratulations to CBS and to the cast and crew. 5. Tilly remains my favorite character. I loved the use of “freaking” and the humor around sticking the word “time” in front of everything, but the moment when Stamets tells her to trust the math and to trust herself, I kind of melted. 6. It’s good to see Tyler and Pike resolving some of their issues in a respectful and thoughtful manner. Granted, it took a near death experience, but hey, it is Star Trek. The Stars in Star Trek Don’t Lie, or Do They?